If you were suddenly transported into the presence of God and you heard a prosecuting attorney listing all the reasons you should be sent to hell, how would you plead? Guilty or not guilty? 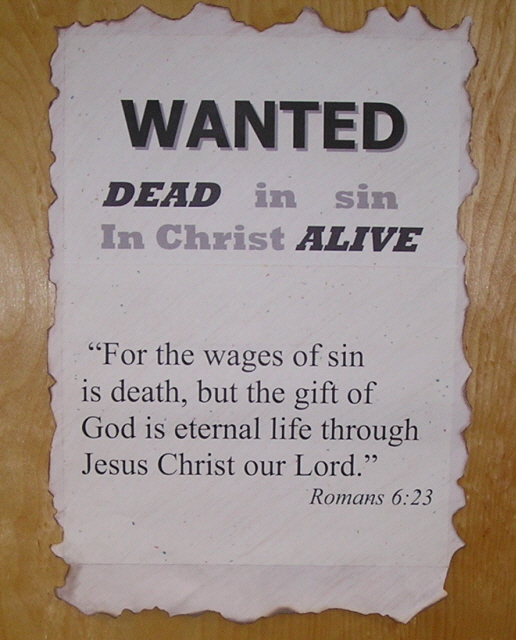 The apostle Paul said, "For all have sinned and come short of the glory of God" (Romans 3:23). That makes us guilty as charged. What is the penalty for our sin? "The wages of sin is death, but the gift of God is eternal life through Jesus Christ our Lord" (Romans 6:23). What could we say in our defense? "God demonstrates His own love toward us, in that while we were still sinners, Christ died for us." (Romans 5:8). Because Jesus became our substitute, the penalty has been paid. But we must accept His forgiveness as a gift. The only requirement is that we recognize our need and accept His offer. If you confess with your mouth the Lord Jesus and believe in your heart that God has raised Him from the dead, you will be saved . . . For "whoever calls on the name of the Lord shall be saved." (Romans 10:9, 13). If you have not done so before, tell Jesus that you believe He died as your substitute and accept the free and undeserved gift of forgiveness. That is the only way to be right about your wrong, to be accepted by God, and to be sure of heaven. The purpose of GLOW at Mathis Chapel Baptist Church is to spread the life changing message of Jesus Christ through connecting with people in Catawba and surrounding areas. We use many evangelistic tools such as calling, writing, praying and visiting to fulfill the great commission. We continue to use our abilities in monthly GLOW meetings to encourage each other and further our reach into the community.